Technology continues to affect our lives in surprising ways and to make ever more inroads into our businesses and colleges. With this technological influx comes a significant learning curve, and office training sessions have become crucial to ongoing business success. As such, you need to give your training space more than just a cursory thought. Outfitting a designated training room for your office or college can allow your employees or students to engage more fully, to better retain the training information, and to sustain their motivation. A conference room can fill in as a training space in a pinch, but a designated training room offers a more streamlined approach that cuts through unnecessary distractions and accommodates your specific training needs. A professional office planner can help you purposefully design your office or college training room with an eye for minimal architectural interference that facilitates participant interactions and collaborations and that enhances display visibility. A well-conceived training room allows your trainers to enhance the learning experience and to minimize the room’s visual and sound distractions by controlling its lighting, displays, and acoustics. Why Designate an Office Training Room? It provides plenty of space to accomplish your training goals. A training room allows your presenters the room they need and allows your participants ample space to train in an environment that’s designed for learning. It allows you to collect and keep the necessary training equipment and technology in one convenient location. It provides you with an opportunity to fashion a training room that your employees/clients/students feel comfortable gathering, collaborating, and learning in. A well-designed and well-equipped designated training room in your office or college can be a valuable addition to your business. 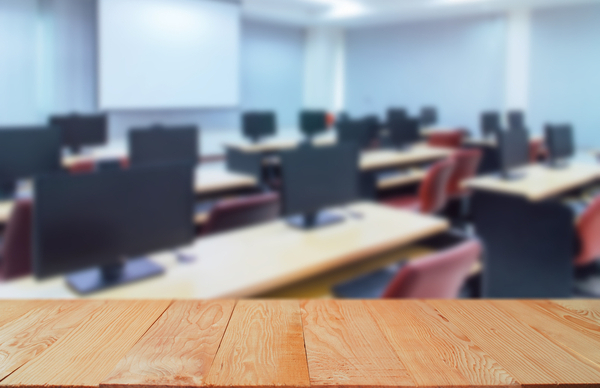 Training is the backbone of the work your employees or students engage in, and designating a training room for the purpose can help make your investment in training that much more valuable. Training is important to your business, and facilitating the training with a professionally planned training room can help you maximize your training time. The professional office planning services at National Project Group will assist you in designing a well-appointed training room that will enhance your business or college. For professional guidance planning your training room, give us a call at 800-821-3522 or send us an email through our online contact form today.